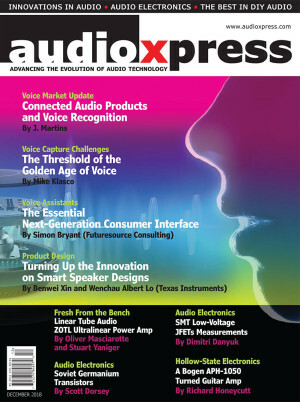 For this last edition of 2018, audioXpress compiled a Voice Market Update that explores some of the latest developments and platforms for voice processing, with contributed articles from world-renowned experts in voice. 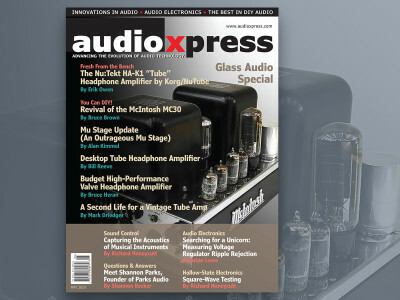 The December 2018 edition reviews the ZOTL Ultralinear Power Amplifier from Linear Tube Audio; explains how to explore Soviet Germanium Transistors; and measures new SMT Low-Voltage JFETs. This is an edition you don't want to miss. 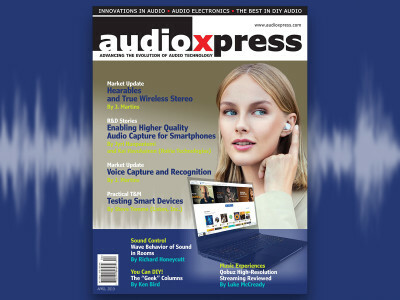 For this last edition of 2018, audioXpress compiled a Voice Market Update that explores some of the latest developments and platforms for voice processing, with contributed articles from world-renowned experts in voice. The December 2018 edition reviews the ZOTL Ultralinear Power Amplifier from Linear Tube Audio; explains how to explore Soviet Germanium Transistors; and measures new SMT Low-Voltage JFETs. On the DIY front, Peter Lehmann constructs his loudspeaker system with an integrated reflector for the tweeter, and Richard Honeycutt explains how to turn an old Bogen APH 1050 into a guitar amplifier. This is an edition you don't want to miss. 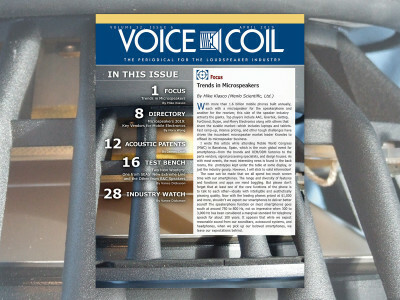 For this last edition of 2018, audioXpress compiled a Voice Market Update that explores some of the latest developments. 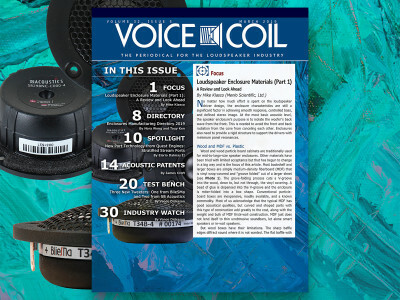 Apart from the contributed articles from world-renowned experts in voice, this edition details the latest platforms for voice processing, including industry profiles. Voice processing and recognition leading to the development of voice-based personal assistants is one of the decade’s greatest achievements and provides a unique opportunity for the audio industry. The sales of voice-enabled products has created a market for amplifiers, DSP, speakers, and microphones like the industry has never seen. Sold in massive quantities, those devices have been propelling many manufacturers to completely new industrial heights, while innovation has accelerated in areas such as far-field capture, acoustic compensation, voice filtering, and even automatic room correction for smart speakers. And of course, those developments propelled by voice are leading to exciting developments in smart speakers, leveraging those sophisticated technologies now available to the consumer electronics industry. The same technologies used to create systems optimized for voice recognition, can also be used to enhance music listening or simply allowing speakers to become part of a smart home network. That makes the investment on new speaker designs much more exciting. Focusing on Voice Capture and Recognition, J. Martins explores some of the latest developments in voice technologies and selected a few companies that are at the forefront of voice development platforms; Simon Bryant (Futuresource Consulting) writes about Voice Assistants: The Essential Next-Generation Consumer Interface; Benwei Xin and Wenchau Albert Lo (Texas Instruments) explain how to Turn Up the Innovation on Smart Speaker Designs; and finally Mike Klasco captures the trends on Voice Capture Challenges: The Threshold of the Golden Age of Voice. 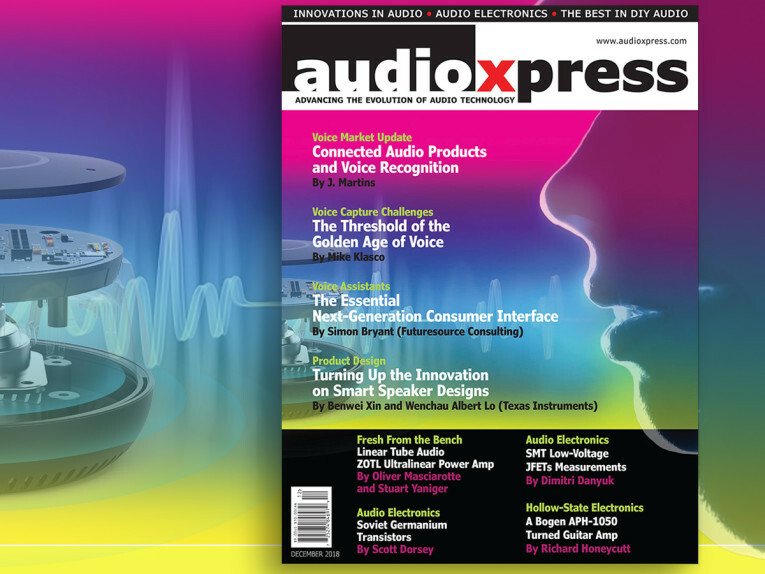 In this edition, audioXpressalso combines the usual dose of audio electronics and review articles. Oliver Masciarotte and Stuart Yaniger review the Linear Tube Audio’s ZOTL Ultralinear Power Amplifier. The ZOTL Ultralinear is based on David Berning’s 1997 foundational (zero) output transformerless designs and patent and is designed specifically for high-efficiency speakers. Lacking an output transformer, the traditional OTL approach requires a raft of paralleled output devices to match the high-voltage, low-current operation of tubes to the low-voltage, high-current requirements of loudspeakers. The ZOTL Ultralinear employs a unique type of switching supply technology optimized for audio, and a high-frequency carrier, very similar to amplitude modulation, as an impedance converter to both eliminate the transformer and optimally match output impedance to the load. Diving into the pre-silicon era, Scott Dorsey writes about Soviet Germanium Transistors, how to find some and where and how to use them. His article encourages DIYers to make use of the large quantities of these transistors now available on the surplus market as replacement parts or for building projects from old design handbooks. As Dorsey explains, using these Soviet-era germanium parts is like having 1950s designs manufactured with 1990s technology. Also on audio electronics, Dimitri Danyuk brings us new measurements to rate SMT Low-Voltage JFETs under consistent conditions, updating his design note with JFET components that appeared on the market in the last five years. In 2013, Danyuk wrote an article that presented apples-to-apples test results for noise densities for several low-noise discrete, SMT, and n-JFETs. The tests used the same operating conditions so that designers can make a fair comparison for their applications. On the DIY front, in “Reflective-Way, Two-Way System; System Construction and Listening Tests,” the second part of this project, Peter Lehmann constructs his loudspeaker system with an integrated and carefully designed reflector for the tweeter and puts it through several listening tests. Finally, Richard Honeycutt explains how he modified an old Bogen APH 1050 public address amplifier, and gave it a second life as a high-performance guitar amplifier.